You can make a tax-exempt donation to the Lubber Run Amphitheater Foundation with a check made out to the Arlington Community Foundation (specify the foundation on the check line) addressed to 818 N. Quincy Street, Arlington, VA 22203. 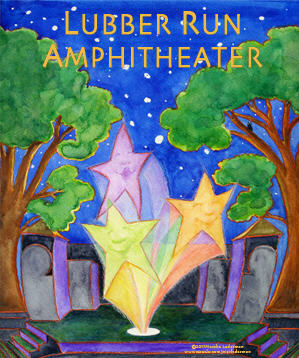 And the Lubber Run Amphitheater Wishing Well will receive cash donations at each performance. All performances start at 8 pm except for Sunday shows which begin at 6 pm. Performances for kids start at 11 am.